The Top Blogger for this month is Livia Quinn, who wins a month of free advertising on the blog. Our Top Blogger of the Year in 2015 was Sabrina York, who won a year of free advertising for 2016. 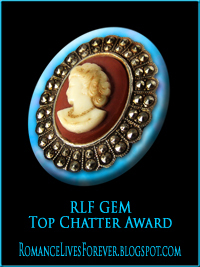 Each month, the RLF Gems post ranks in the top ten, but is not counted, in order to focus on guests. The winners are judged by page views. Congratulations to each one! There was a tie in fifth place. I'm so happy to be top chatter again! Thanks RLF! 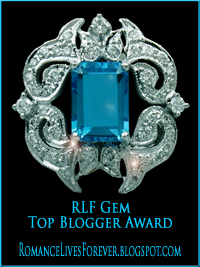 Thanks so much RLF for being the reason I was top blogger! What a great place to find new books and authors. I just found one, :) Happy Fourth everyone.